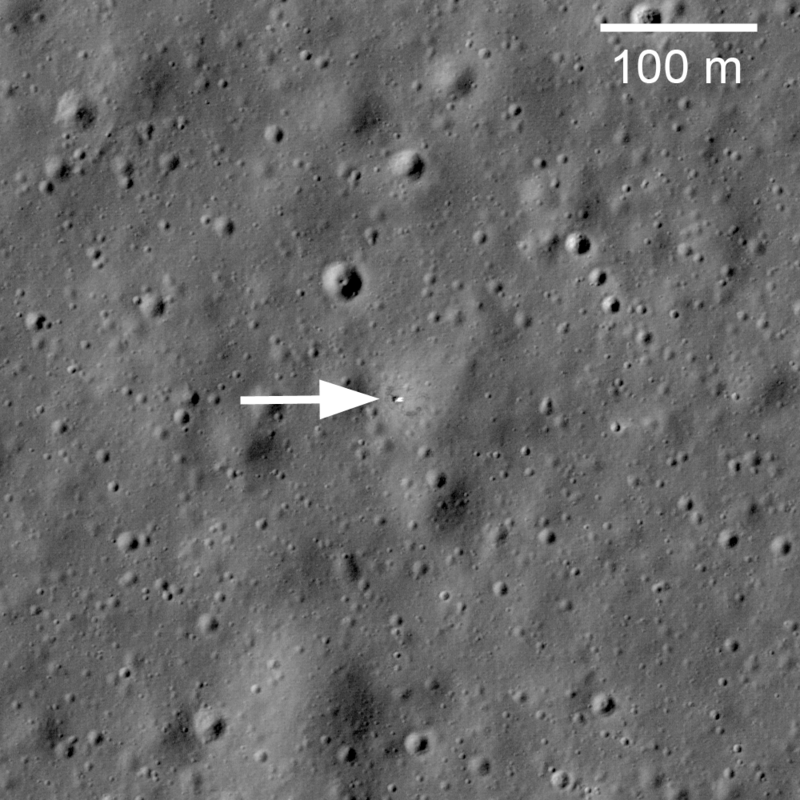 Soviet robotic lander Luna 17 still sitting on Mare Imbrium where it delivered the Lunokhod 1 Rover in November 1970, LROC NAC Image M114185541RE [NASA/GSFC/Arizona State University]. On February 21, 1972, Luna 20 soft landed in the rugged highlands between Mare Fecunditatis and Mare Crisium. The next day a sample return capsule blasted off carrying 55 grams of lunar soil. 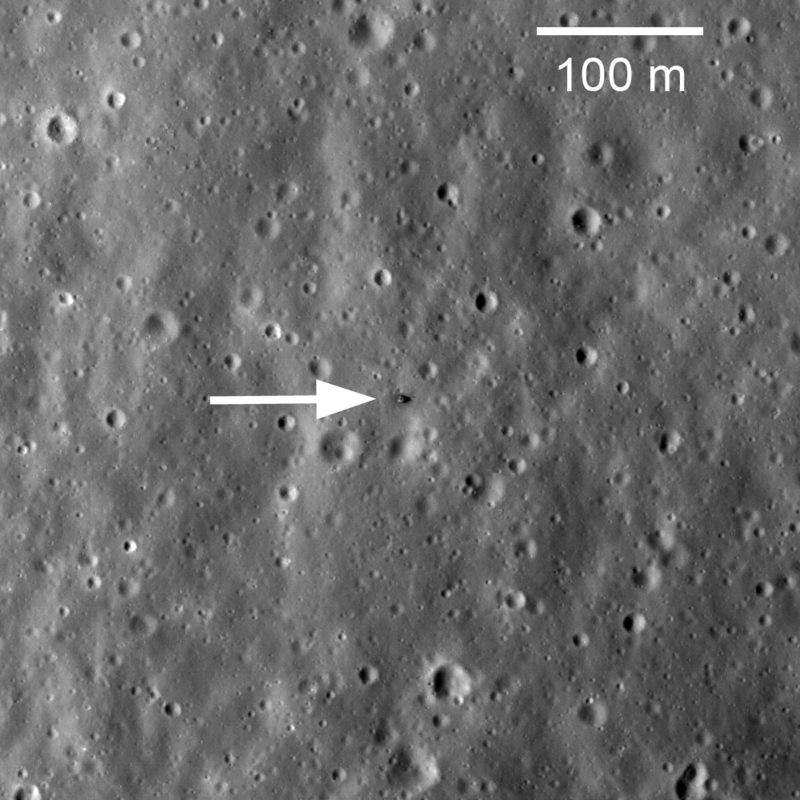 The Luna 20 descent stage still sits silently on the Moon, clearly visible in LROC NAC image M119482862RE [NASA/GSFC/Arizona State University]. 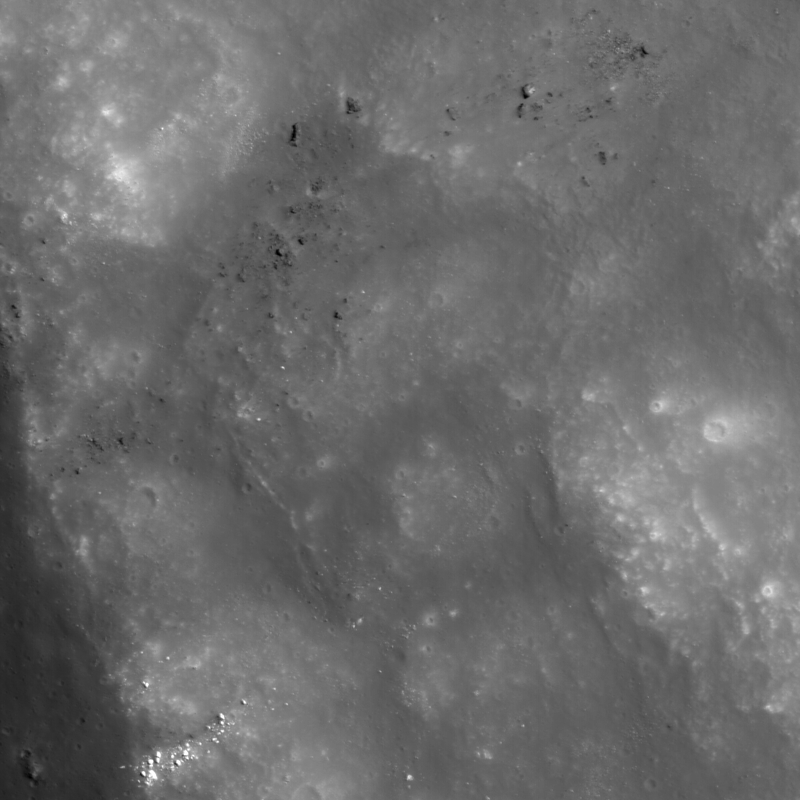 Boulders on a wrinkle ridge in Mare Crisium may help us understand the geology of this Constellation region of interest. 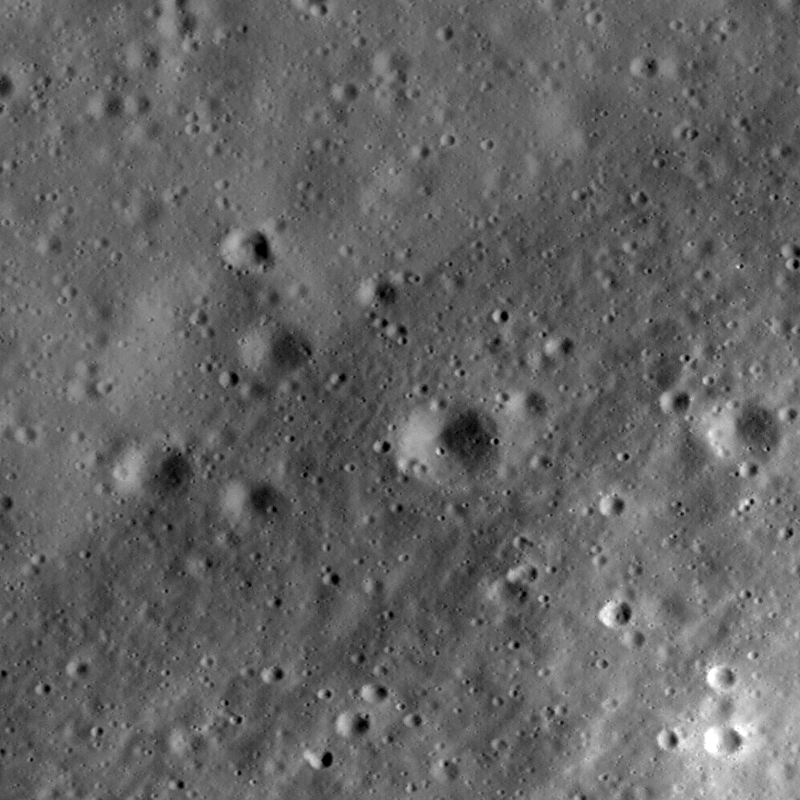 The scene is 460 meters across; image number M119469420LE [NASA/GSFC/Arizona State University]. Marius Hills Pit - Lava Tube Skylight? The lunar highlands exhibit rhythmic patterns thought to result from slow, downslope creep of the loose regolith (soil). These subtle patterns are most easily seen when the Sun is low to the horizon. Image is 2400 meters wide, north is to the top [NASA/GSFC/Arizona State University]. 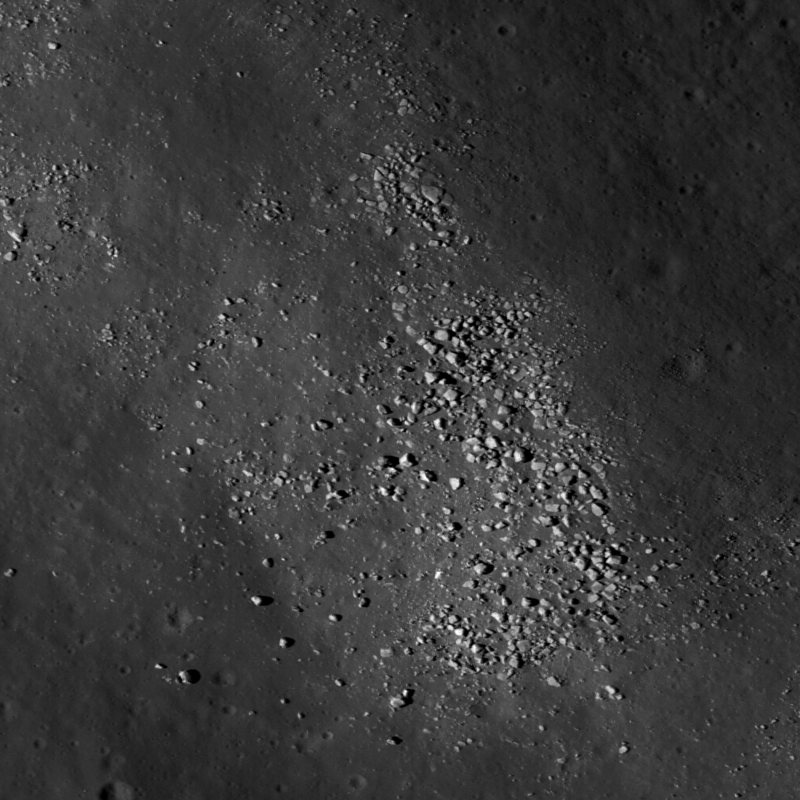 Wall of crater Van de Graaff C, where brighter material is exposed by more active processes associated with steeper slopes, recent small craters, and even individual rolling boulders. 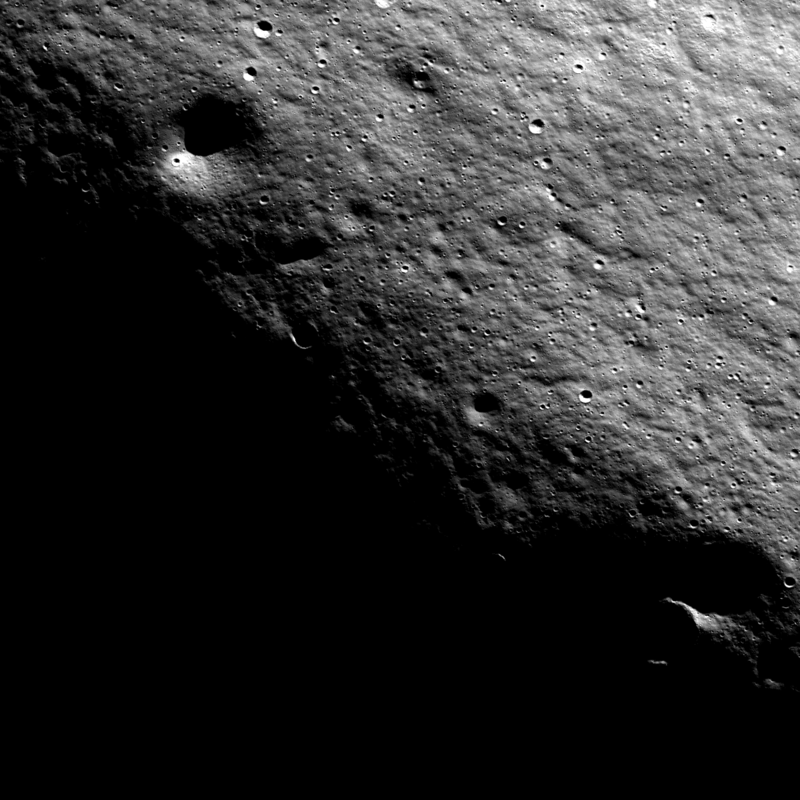 NAC image 112822306, image width 0.68 km [NASA/GSFC/Arizona State University]. Overlapping petals of bright ejecta illustrate the complexity of ejecta emplacement, even in smaller impact events. The source crater is ~120 meters in diameter and lies on the floor of Murchison Crater, one of the Constellation regions of interest. 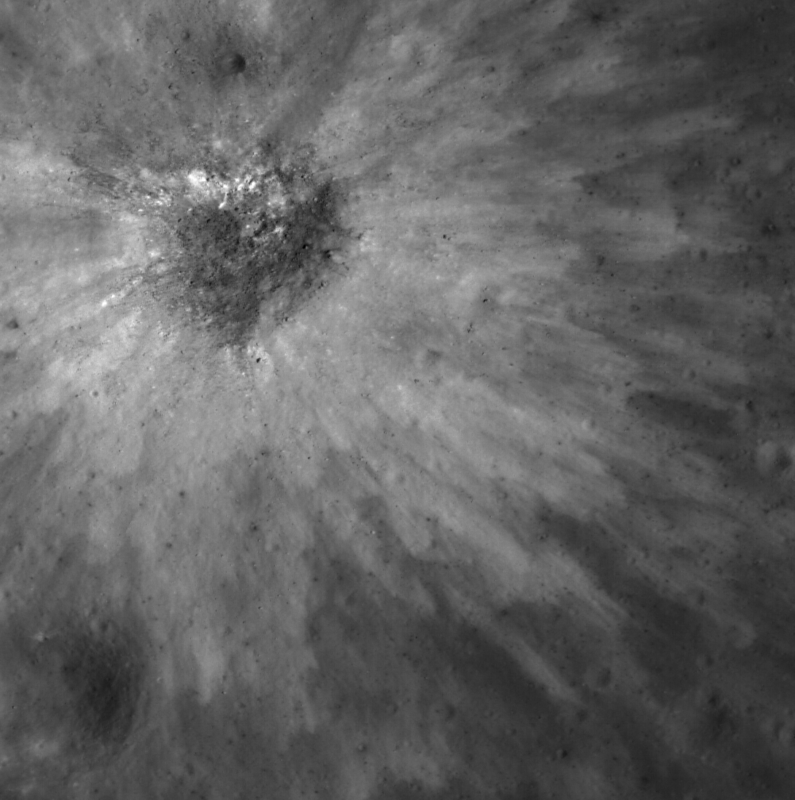 Image size is 500-meter x 500-meter from LROC NAC frame M111599349RE; north is up [NASA/GSFC/Arizona State University]. Spectacularly preserved viscous flow on the NE rim of Byrgius A (19 km diameter) crater. 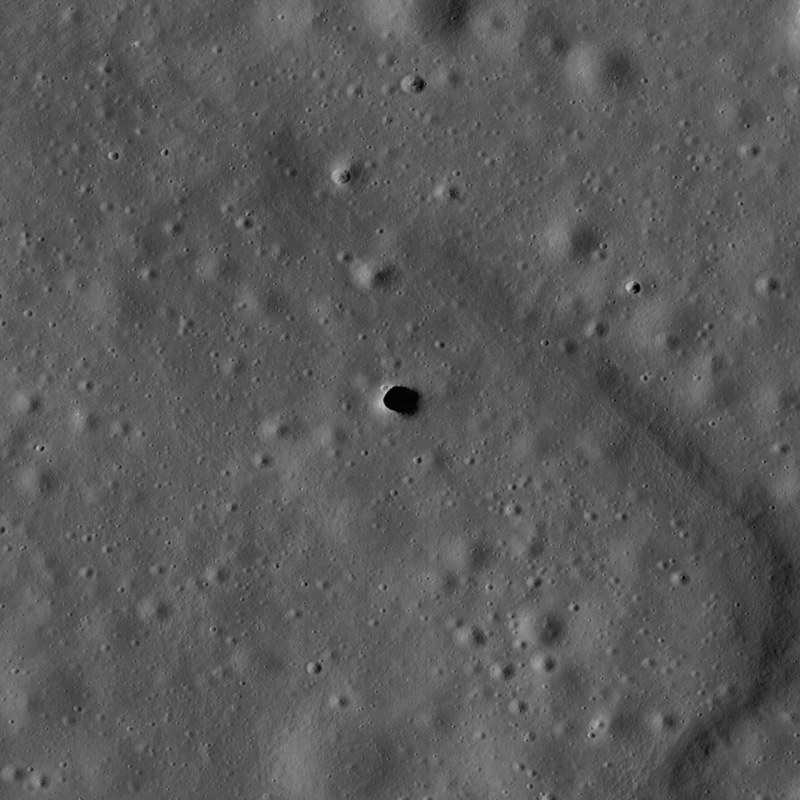 This flow has a form similar to lava flows on the Earth - however it formed as a result of an asteroid or comet slamming into the Moon at hyper-velocity (>16 km/second). 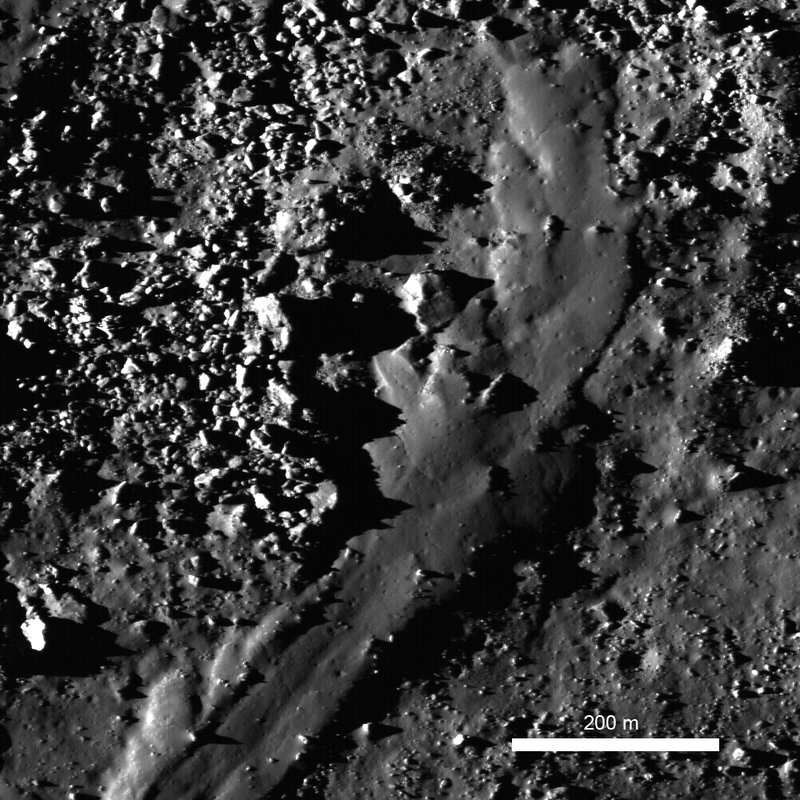 So much energy was released in the impact that solid rock was melted and thrown out of the crater where it flowed down the crater flanks (M102573276L, image width 810 m) [NASA/GSFC/Arizona State University]. 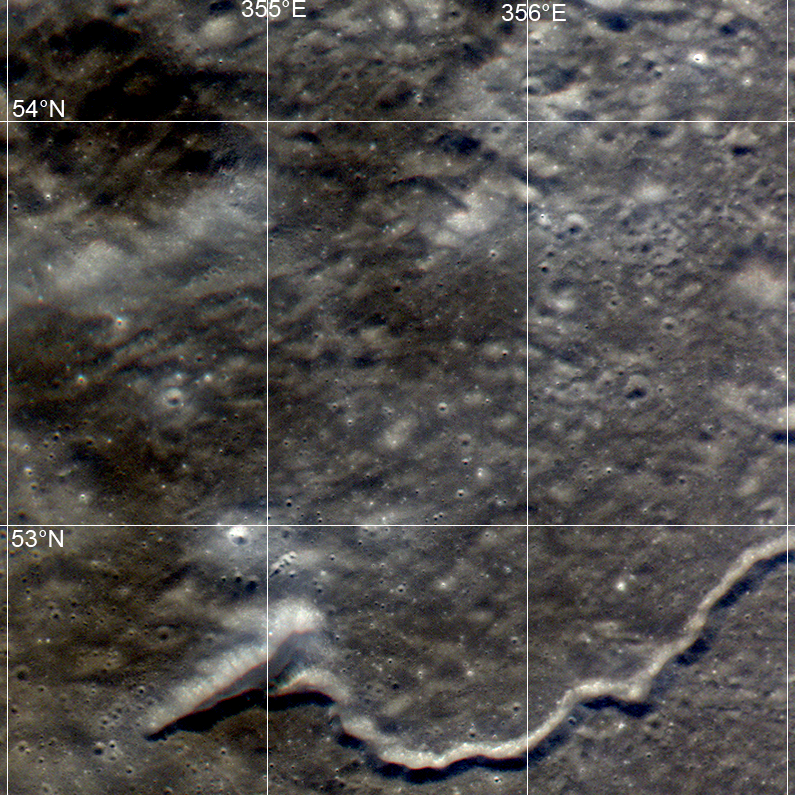 The Constellation Program region of interest northwest of Plato crater exhibits a wide variety of geologic features. LROC WAC frame M109269483CE; 695 nm in red, 567 nm in green, 415 nm in blue [NASA/GSFC/Arizona State University].